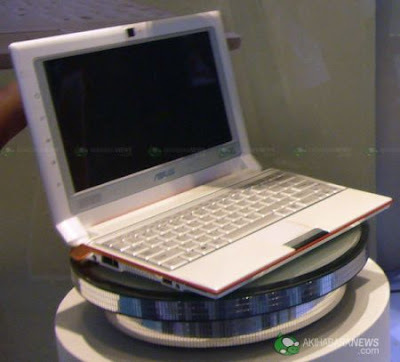 Asus will introduce the long-anticipated 10-inch version of the Eee PC at Computex on June 3rd. The company has been talking about a 10 inch model almost since day one, but so far the only two Eee PC units available for purchase are the Eee PC 700 and 900 series, which have 7-inch and 8.9-inch screens respectively. DigiTimes reports that Asus may be pushing up the Eee PC 1000 (notice a pattern in the naming conventions) launch date a bit to compete with MSI. That company’s Wind laptop will come in 8.9 inch and 10.2 inch versions, with only the 10 inch model available at launch in the US. No word on how much the Eee PC 1000 will cost or how it will otherwise differ from the Eee PC 900 or upcoming Eee PC 901 (which will sport the new low-power Intel Atom processor).